Will UK Courts Stop Pakistan Media’s ‘Traitor’ Propaganda Against Dissidents? All that has been an insurmountable hurdle but the success of Jang/Geo Group’s Mir Shakil ur Rehman in forcing the shutting down of ARY News in the UK has opened a path for Pakistani dissidents to at least fight back. ARY called Mir Shakil an Indian agents on its shows and the poor man could do nothing about it in Pakistan. He then realized that ARY also runs in UK and decided to approach the British Office of Communications –an arbiter of fairness in media – and also to demand reparations through British courts. He won. ARY News decided to declare bankruptcy in U.K. and shut its operations there. Its programs are now shown in UK under the banner of ‘New Vision Limited.’ As The Guardian noted, the case put Pakistan’s media on notice. Another web based news source, Eurasia Future, pulled down an article against Mir Shakil written by a Pakistani after being threatened with defamation action. It also had to run an apology. Now it seems that former ambassador and author Husain Haqqani has decided to take the same road. 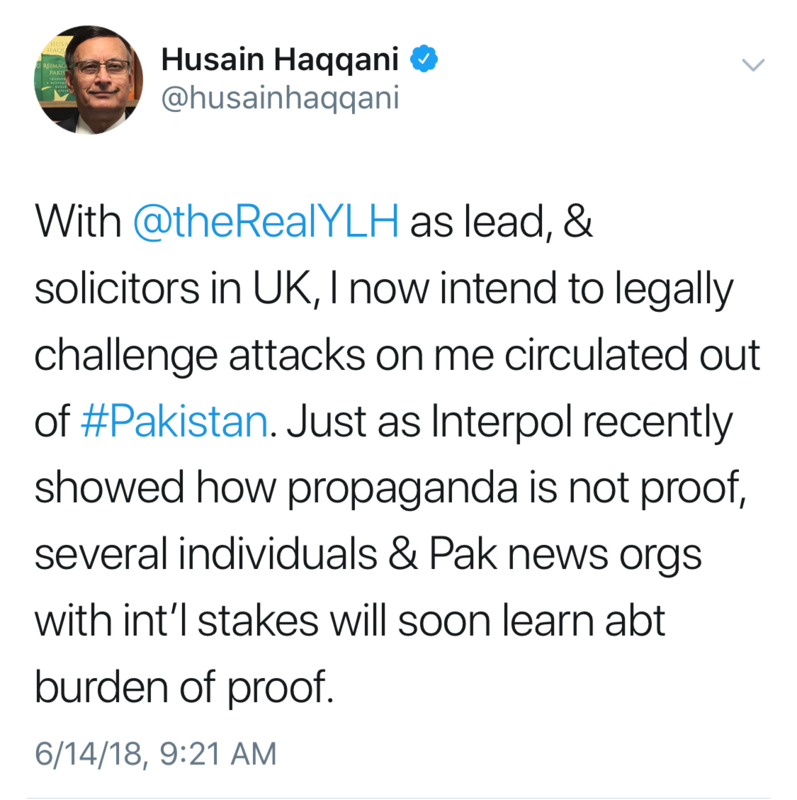 Called all sorts of names on Pakistani TV channels, Haqqani can do little in Pakistan to stop his defamation because the law in Pakistan is subject to the whims of the ‘patriotic’ establishment. But Haqqani could, like Mir Shakil, demand of all media outlets that also operate in UK (or elsewhere) to prove their allegations. We know how difficult it is to prove allegations when the judges are not already in one’s pocket. That is why Haqqani has never been put on trial in Pakistan for any crime and even First Information Reports (FIRs) against him have only been registered within the last few months, seven years after his resignation as ambassador. 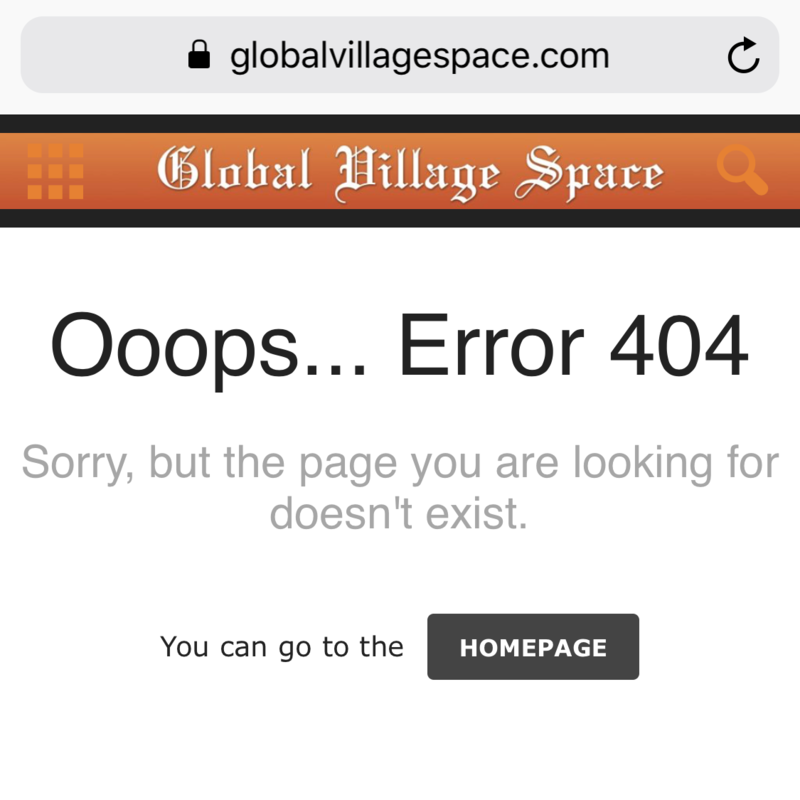 His threat already resulted in Global Village Space pulling down an article by well-known Haqqaniphobe, Capt (retd.) Syed Haider Raza Mehdi within hours of putting it up. The strategy of suing over defamatory material under the laws of other countries will not stop habitual slanderers and abusers in Pakistan. But it will incur a cost for those in Pakistani media who want to be read or watched outside Pakistan too. It could also result in financial loss like the one incurred by ARY. Pakistani media owners are in the business for making money. They are unlikely to want to lose the UK market. Unless, of course, the establishment that provokes them to abuse dissidents is willing to spend more money to subsidize its abuse.